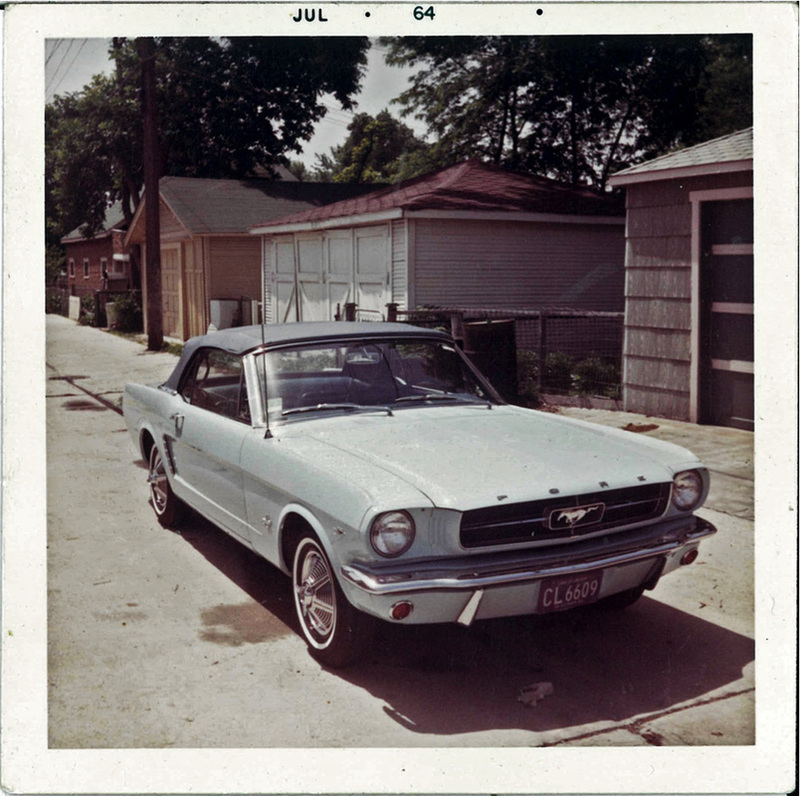 The first Mustang owner was a gal! 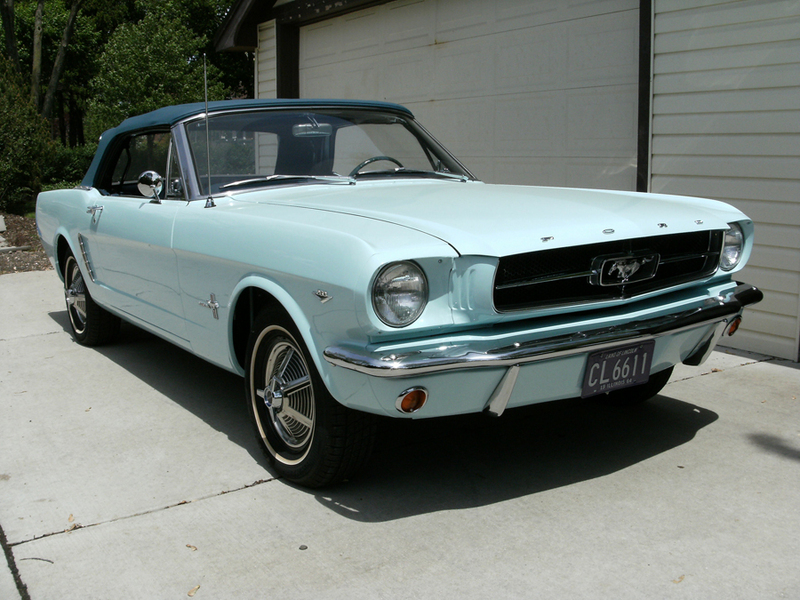 The 1965 Ford Mustang officially went on sale on April 17, 1964, but anyone that showed up at a Ford dealer that day had already missed out on being the first to buy one. Gail Brown was 22 and just starting out in the world. The young elementary school teacher had finished college and had been living with her parents and getting to work with her mother's ‘57 Ford Fairlane 500 convertible. She yearned for a car of her own. It was the mid-1960s and car culture was in full swing. Whatever the car, it had to be cool – and a convertible. She went with her parents to Johnson Ford in Chicago, Ill. – the dealer had been doing business with her family for years and the first-time buyer was excited to see what was new on the lot. After touring the show floor she confessed to the salesman that nothing was speaking to her. With a sly grin he told her, “I’ve got something in the back that's really new.” In a store room behind the show floor, still under cover, was a brand new 1965 Ford Mustang Convertible in Skylight Blue with a 260-cubic inch V8, automatic transmission, power steering, power top, knock-off wheel covers, center console, and Rally Pac instrumentation. “That’s me, that’s what I want!” said Gail. She traded in a friend's rough '58 Chevy for $400 and borrowed some money from her parents to cover the rest. All in, the total was $3,419. It was April 15th, two days before the car was set to go on sale. 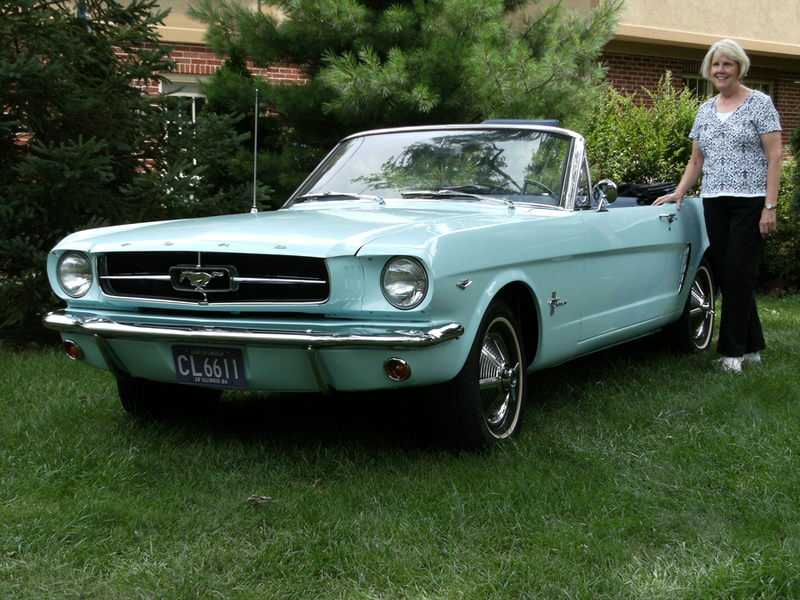 Gail Brown had accidentally made the very first retail purchase of a Mustang. In 1966 Gail married longtime sweetheart Tom Wise while he was home on shore leave from the Navy – no she didn't snag him with the Mustang. The following year, the two settled down in a Chicago suburb and started a family. The Mustang endured dutifully and by '74 it became Tom's daily driver but it was starting to show its age. Fifteen years of Chicago winters and everything four kids could throw at it were eventually catching up with the car, and by '79 the fenders were beginning to rust, the floors had started to give way, small mechanical gremlins were popping up. During a particularly vicious winter storm the Mustang had been parked in the street and when Tom went to head out for work he found the battery had been stolen, no doubt because the thief’s had died. The car was pushed into the drive, then eventually into the garage. A corroded throttle linkage led to difficulty in starting and as these small things added up the car was pushed to the side. Life does get in the way and raising four kids takes up a lot of free time. The car spent the next 27 years stashed in the garage. At times Gail wanted to be rid of the car, it was taking up valuable space after all. But Tom always dreamed of restoring the Mustang to her former glory so it was allowed to slumber under piles of junk. It waited through the 80s and 90s, but when the last of the children had flown the coup and Tom retired, he began scheming on restoration again. In 2007, he set the plan into motion. By this time the rust had advanced, the interior was shabby, the engine hadn't run in decades, the roof was in questionable repair and everything needed to be gone through. Tom stripped the car all the way down to the bare bones, leaving only the steering and running gear in place then sent it off to Greg's Auto Body in Lake Bluff, Illinois for a complete refresh. After the cancerous bits were stripped away, new floor panels, door skins and front fenders were installed followed by a fresh coat of Skylight Blue paint. The engine and went off to a machine shop although it was in fine enough condition that all it got was a good cleaning, new electrical parts, a carburetor and a coat of paint. Same went for the transmission and rear end. The major components were all shipped to Greg's Auto for installation. The finished shell was delivered to their home and Tom set to work on the finishing touches. As an electrical engineer he took care of running new wiring, then installed the interior and all the trim, lights and accessories, then did all the testing. A specialist took care of putting a new top in place. By 2010 it was complete. “I'm a car guy, but not one of those restomod types. This car is bone stock, exactly as it came from the factory,” says Tom. The funny thing is that even though Gail bought it, she doesn't really drive it any more. “Tom put so much work into it that I'd be scared to scratch it. I'm happy to sit in the passenger's seat these days” And they do drive it, treating it just like a regular car. Since completing the restoration they've entered plenty of car shows and toured nearby cities, amazing everyone with the story and all the documents to back it up.